The eVic Primo 2.0 MOD and UNIMAX 2 Tank consist the eVic Primo 2.0 Kit. The Primo 2.0 Mod is the upgraded version of eVic Primo MOD which requires 2 pieces 18650 batteries for max 228W power. 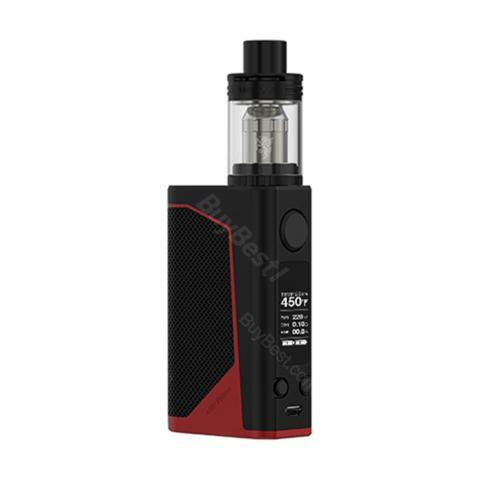 The eVic Primo 2.0 MOD and UNIMAX 2 Tank consist the eVic Primo 2.0 Kit. The Primo 2.0 Mod is the upgraded version of eVic Primo MOD which requires 2 piece 18650 batteries for max 228W power. Before you buy the eVic Primo 2.0 mod, you shall know about its shining points, like equalizing charge system, quick charging system, let along its innovative buck-boost technology. Because these are what make the Primo 2.0 MOD stands out and serve you well. You can even use it to charge your phone under emergency conditions. Both the onboard reverse polarity and dual circuit protection will ensure the safety for you while using. Most important, the eVic Primo 2.0 MOD is firmware upgradeable. For the NIMAX 2 Tank, it will work well with the Primo MOD and many other 510 thread mod. You'll just love it for its large airflow and detachable structure. The tank will offer you the purest flavor and convenient cleaning experience because of them. 5 attractive colors at BuyBest are waiting for you now. • You can buy replacement BFL-1 coil, BFL/BFXL coil. Fast delivery. Excellent price and quality. Fast shipping, perfect product. Thank you! Быстрая доставка. Продукт оригинальный. Цена супер. Рекомендую !!!! Great one, fast delivery, top price! Очень быстрая доставка! Хороший продукт! The set is so sick. It comes with many output modes and many functions like temperature control. So this primo is great for starters to learn. And their price and shipping are both wonderful. The looking is neat and I love it. This Joyetech evic primo is cheap with good quality. Perfect kit. I'd like set it at 50 watts. It needs 2 18650 batteries and the output is great. I have used this kit for 2 weeks and it still works great. When I get familiar with this one, I shall purchase more complicated device.